I have this one. I rather like it, but I also like roobios in general. I'm currently on a quest to find a nice, strong, spicy black chai. There used to be a drink shop here that sold an amazing chai, but they went belly up and I don't know what brand they used. 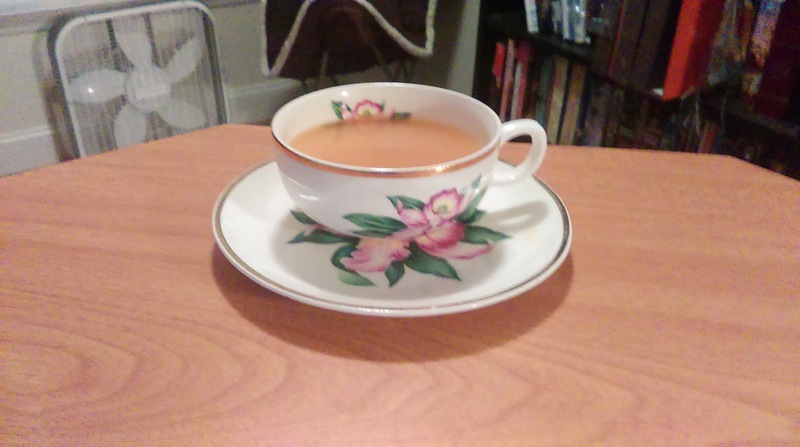 I got Tea Forte's Bombay Chai because it smells like what I was looking for, but the flavor is remarkably weak. I guess too much flavor gets lost in the air? Or something? I currently have chocolate carrots stuffed in my tin of it to absorb the scent. I've done it before with jasmine green tea (totally on accident) and the result was great. Any recommendations for normal chai? The spicier, the better. Well darn that they went up. Honestly I'm a fan of Stash, but I'm sourcing this one out with a couple of consummate chai-lovers (I only dabble, I must admit). I'll let you know when I hear back what their favorites are. Chocolate carrots to absorb scent? I hate it when my one empty tin smells so strongly I can't put another tea in yet, so I'll have to try that. Thanks for the tip! From another chai-loving friend:: Adagio Pumpkin Spice Chai. Geisha chai from Tin Roof Teas, and black chai from Honeysuckle Farms.... Though she also says, "You want spicy, drink ginger tea. The kind that is nothing but powdered root."